Somewhere on planet Earth, four or five children are born, on an average, every second. One or two other people die in that same second. 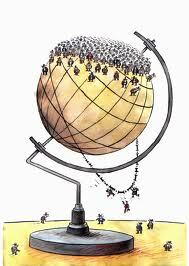 The United States Census Bureau points out that we are adding close to 79 million people to this planet every year. Human beings are one of the most numerous vertebrate species on earth. We also have the greatest environmental impact on this planet. For the most part, each birth in a family is a joyous occasion worth celebrating and cherishing. However, in the long run, is the exponential growth of humans beings good for the planet? There are many people advocating that overpopulation is detrimental to the environment and other species. They claim there exist environmental degradation of ecosystems, ecological life, and depletion of natural resources like water, trees, air, oxygen, and fossil fuels, etc. They fear that our fertility rates are too high and global birth control programs should be implemented to minimize the number of humans on earth. On the other hand, others believe humans are capable of creating and establishing technological advances, through their ingenuity and enterprises, to save and expand our carrying capacity. They concur that larger populations will bring about more people in the workforce, more hands to work, more geniuses, and economic growth. In addition, there are people that suggest that there are enough resources for everyone. They claim that the wealthy are unjust, in that they are the root cause of environmental degradation because the distribution of power and wealth is not equal. They offer their perspective that if nations were more democratic, empowering women and minorities to help them live better lives; to providing education on healthy habits, the world would be more sustainable. Nonetheless, the human population is growing at an alarming, exponential rate. We are presently using up more resources than the earth is capable of providing in future generations. In the last three decades, humans have used up more than one-third of the earth’s natural resources. We are trashing, hauling, mining, and cutting many places on earth at a rapid pace. For instance, in the United States 40% of the waterways have become undrinkable; the U.S. has less than four percent of their original forests. The U.S. has five percent of the world population but uses 30% of the world’s resources—creating 30% of the world’s waste. Eighty percent of the world’s natural forests are gone. In the Amazon, over 2,000 trees are cut down per minute. 75% of global fisheries are fished beyond capacity. There are over 100,000 toxic chemicals used in today’s commerce. What can we do about making sure we don’t overextend ourselves? Who is responsible for watching over our overconsumption? For that matter, are we over-consuming? There are a number of healthy habits we can do as individuals. Recycling is not enough. What are you doing to reduce your ecological footprint? Create something new! 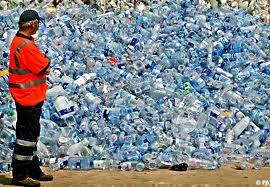 Help us in creating a new method in reducing our consumption. This is a fantastic Artical to make us all aware of the limited resources that this planet has and our role in the total eco system. I wonder however if the human race is able to do what is required to save this planet. I feel that we must take a two pronged approach of using technology to help with using our resources more wisely and also Population reduction!! Before nature takes its normal action of reducing our population itself by worldwide famine or other means. Thank you as well, Dave! I agree with your suggestion of using technology to help us curtail our use of resources, while using them wisely. I also find favor in providing women education, healthcare, and support in empowering them so they can work if they choose; this support will help in stabilizing the human population, while providing more rights and equity to women. It takes desire, education, a plan of action, and persistence to achieve sustainable goals. It also take the support of individuals and governments in order to advance further in our effort for sustainability. Very enlightening article/video. Puts into words all stuff I already suspected. Will be sharing. Thank you. Thank you as well, Anne! I appreciate you sharing your thoughts and suggestions! What an excellent article! We as humans are using up a lot of our natural resources. It’s a shame that most of us are not aware of it or simply don’t care. I really enjoyed the video on “The Story of Stuff.” It makes me aware of what is happening to the stuff I get rid of without even giving it any thought. Thank you for making us aware of what we are doing to our environment and how we can help in stopping it from going any further. You’re welcome, Tina! It’s good to see you received some benefit from this article. I plan to continue to provide more material pertaining to our healthy habits. There is a problem with your premise. The average American is not self-replicating. What I means is that a birth rate of 2.2 is required to assure that the population does not decrease. The average procreation in communities with less resources is much higher. As such, the overpopulation is NOT the result of those having more assets, but those having fewer- many times because more “hands on deck” are required to accomplish the tasks at hand. I am NOT saying overpopulation is not a problem or that resources (certainly water is already limited) are in short supply. But, your suggestion has no real bearing on the situation. Thank you for sharing your thoughts on these matters Dr. Ackerman. I guess I did not make my premise clear. I do not mean to imply that developed nations like the U.S., Australia, Japan, etc. are causing overpopulation by overconsumption. I am only trying to present that overpopulation and overconsumption exists. You’re absolutely correct in that developing countries like those is sub-Saharan Africa, and parts of Asia have more children in order to help in their survival. In fact, the infant mortality rate is much more higher in those parts of the world, so having more children is a way of compensating for their unfortunate losses. My point in this blog article is to create awareness and inspire action with respect to our natural resource and ecosystem degradation. I hope you and everyone reading this understands. Important post and good content. It is true that resources are not unlimited and we all need to do our part to help. Thanks for reminding us. Thanks, as well Ken! Every little bit helps!